• Reauthorized the Federal Communications Commission (FCC) for the first time in 28 years. • Directs the FCC and National Telecommunications and Information Administration (NTIA) to make at least 255 MHz of low- and mid-band spectrum available for wireless broadband use. • Directs the FCC to publish a notice of proposed rulemaking (NPRM) to authorize mobile or fixed wireless service in the 42 to 42.5 GHz range. Explicitly requires telecom and cloud providers to disclose electronic data to the U.S. government under the Stored Communications Act, even if the data is located outside the U.S. Allows foreign governments to enter bilateral agreements with the U.S. to have direct contact with service providers instead of going through the government. Rendered the pending Supreme Court case United States v. Microsoft Corp. moot. • Would require state and local governments to respond to small cell siting applications within 60 to 150 days, with applications automatically granted if the government fails to respond. • Would authorize state and local governments to charge siting fees based on “actual and direct costs” of deployment. • On September 17, United States Trade Representative Robert Lighthizer issued $200 billion in tariffs on Chinese imports, including circuit boards, semiconductors, modems, chips, and power assemblies. • Several technology companies filed public comments against the tariffs, fearing Chinese retaliatory tariffs or impact on manufacturing. • On September 26, the FCC approved a federal order to preempt state and local regulations over small cell deployment. • On October 25, President Trump signed a memorandum which creates a Spectrum Strategy Task Force and directs the Secretary of Commerce to draft a national spectrum strategy. • On June 11, the FCC’s reversal of the 2015 Open Internet Rule came into effect, reclassifying internet service providers as a Title I service covered under Federal Trade Commission (FTC) jurisdiction. • On September 30, the Justice Department filed a lawsuit against California’s net neutrality law, contending that only the federal government has jurisdiction to regulate net neutrality. Sources: Cecilia Kang, “Trump’s China Fight Puts U.S. Tech in the Cross Hairs,” New York Times, Sept. 23, 2018; Russell Brandom, “How Trump’s tariffs will hurt US tech companies,” The Verge, Sept. 18, 2018; ”FCC streamlines deployment of next-generation wireless infrastructure,” FCC, Sept. 26, 2018; “Presidential Memorandum on Developing a Sustainable Spectrum Strategy for America’s Future,” White House, Oct. 25, 2018; Cecilia Kang, “Justice Department sues to stop California net neutrality law,” New York Times, Sept. 30, 2018. 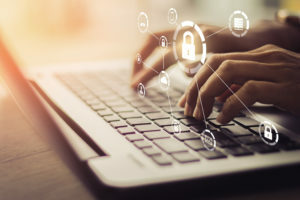 • Both Republicans and Democrats have called for federal privacy legislation; several members of Congress have announced plans to introduce bipartisan legislation in the 116th Congress. • The European Union’s General Data Protection Regulation (GDPR), which came into effect on May 25, 2018, and the California Consumer Privacy Act, which will become effective on January 1, 2020, could give Congress additional foundation to pass legislation in 2019. • Sen. Brian Schatz (D-HI) introduced the Data Care Act on December 12, 2018, along with 14 other Democratic senators. 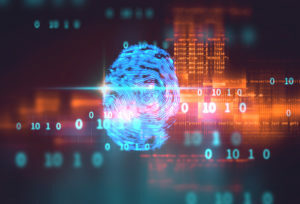 • It gives the FTC rulemaking and final authority to enforce consumer protections around data breach notifications, personally identifiable information, and third-party data use. • A federal privacy bill could include additional resources for the FTC, including additional funding, expanded civil penalty authority, and Administrative Procedure Act rulemaking authority. • Several members of Congress have stated an interest in the results of the 2018 FTC data investigations into Facebook and Equifax. Sources: “Schatz leads group of 15 senators…,” Sen. Brian Schatz Press Release, Dec. 12, 2018; Adam Mazmanian, “Congress punts funding decisions to Dec. 21,” FCW, Dec. 6, 2018. • U.S. Citizenship and Immigration Services published an NPRM to amend the H-1B registration process in November 2018. • The rule would include advanced degree holders in the previous general pool of 65,000 non-advanced degree holders and move the registration process online. • 2015 Census Bureau data suggests that over half of Silicon Valley STEM employees are immigrants. 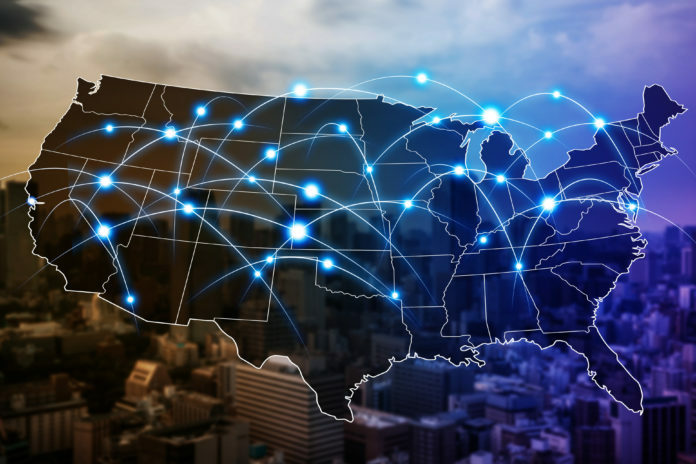 • On December 12, 2018, the FCC announced that it would allocate an additional $67 million annually to improve broadband connectivity in rural areas. • As telecom providers continue to announce plans to deploy 5G in 2019, funding for broadband infrastructure in rural areas will likely be a topic of discussion. • On September 25, 2018, the NTIA sought public comment on privacy principles and goals. • On December 12, 2018, the Department of Health and Human Services issued a request for information for HIPAA, with public comments due on February 11, 2019. Sources: Sara Ashley O’Brien, “Trump administration proposes changes to popular H-1B program,” CNN, Nov. 30, 2018; Chantal Da Silva, “H-1B visa row: foreign workers make up more than half of Silicon Valley’s tech industry, reports say,” Newsweek, Jan. 18, 2018; Michelle Mark, “The Trump administration targeted H-1B visas again,” Mar. 21, 2018; AJ Dellinger, “FCC offers $67 million more per year for rural broadband programs,” Engadget, Dec. 12, 2018; “NTIA seeks comment on new approach to consumer data privacy,” NTIA press release, Sept. 25, 2018, “HHS seeks public input on improving care coordination and reducing the regulatory burdens of the HIPAA rules,” HHS Press Release, Dec. 12, 2018.